Although the trucking industry remains one of the most dynamic and rewarding industries in the country it poses many challenges as well. Whether you are a contractor, a subcontractor, an owner-driver or part of a partnership, you will be faced with almost, daily obstacles. Those in the trucking industry and those wishing to enter the industry need to make numerous tough and important decisions, and be at the constant mercy of the unstable economic environment. However, with some assistance from the experts, all these challenges can be overcome. 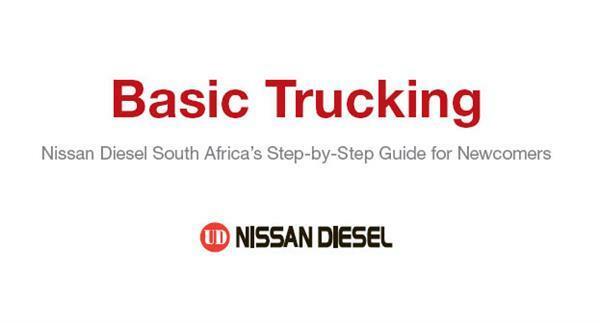 Nissan Diesel’s Basic Trucking guide aims to do just that. This guide, which is available on the Nissan Diesel South Africa (NDSA) website, assists newcomers to the industry to surmount the hurdles by asking two simple questions. Firstly, why do you want to be in trucking? And secondly, do you have what it takes to start your own business as a trucker? NDSA’s Basic Trucking guide outlines and explores the opportunities, which exist for newcomers to the trucking industry. The guide also assists individuals in choosing the right trucks for their needs, as well as insuring their vehicles. Furthermore, insight is given into the cost of operating a truck, overhead expenses, methods in which to manage one’s truck, and advice on how to survive in the trucking industry. Nissan Diesel’s overriding commitment is to develop, manufacture and distribute products of the highest quality that precisely meet the various needs of customers in South Africa. However, ensuring that they also receive the best service and support is of paramount importance. “History has taught us that many newcomers fail to survive in this testing industry, and for this reason, NDSA formulated this guide to serve as a tool which will set individuals on the road to trucking success, so as to ensure that their business will go from strength to strength,” says Richards. South Africa’s growing economy drives the demand for competitively priced and efficient transport services. According to the CSIR’s Annual State of Logistics Survey for South Africa in 2005, despite numerous challenges, road transport (or trucking as we like to call it) accounts for about 75% of the freight tonnage valued at approximately R110 billion a year and growing. Trucking is a diversified business activity playing an important role in many sectors including agriculture, mining, quarrying, manufacturing, construction, distribution, household removals, delivery of food, beverages and even newspapers, courier services, white goods and furniture. Based on these facts, it is clear that trucking has a bright future and will continue to play a vital role in the ongoing growth and development of the South African economy and, whether in the form of start-up assistance or running assistance, NDSA is there offering guidance and support.